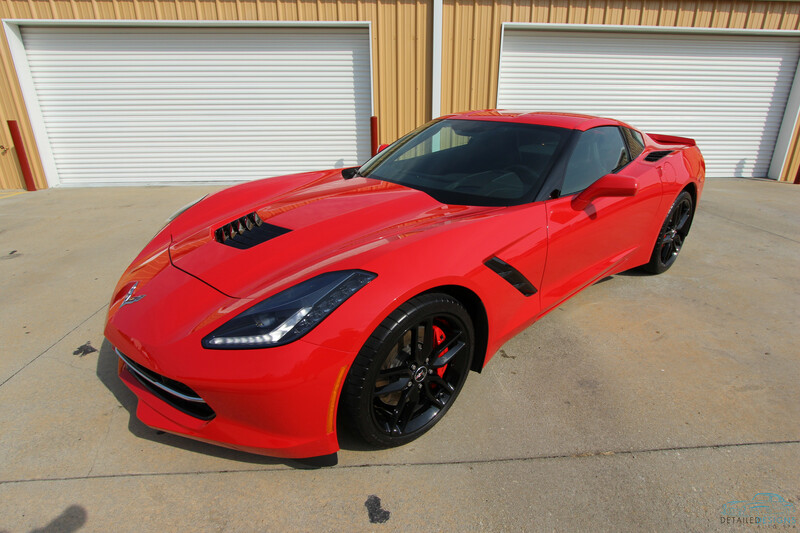 Once again, a longtime Corvette enthusiast purchases a 2014 Stingray and once again they choose the Atlanta clear bra installers at Detailed Designs Auto Spa to perform a quality paint protection film installation. 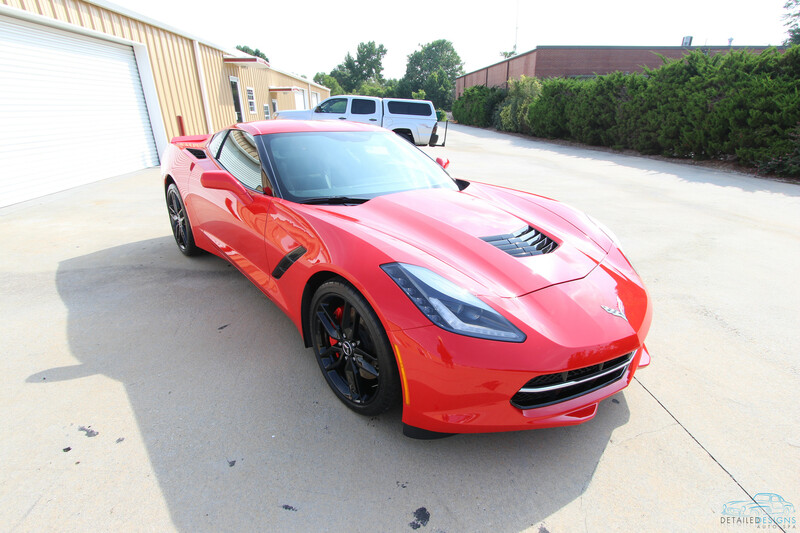 The professional Atlanta clear bra installers at Detailed Designs Auto Spa have installed paint protection film on many new Corvette Stingrays in the Atlanta area. 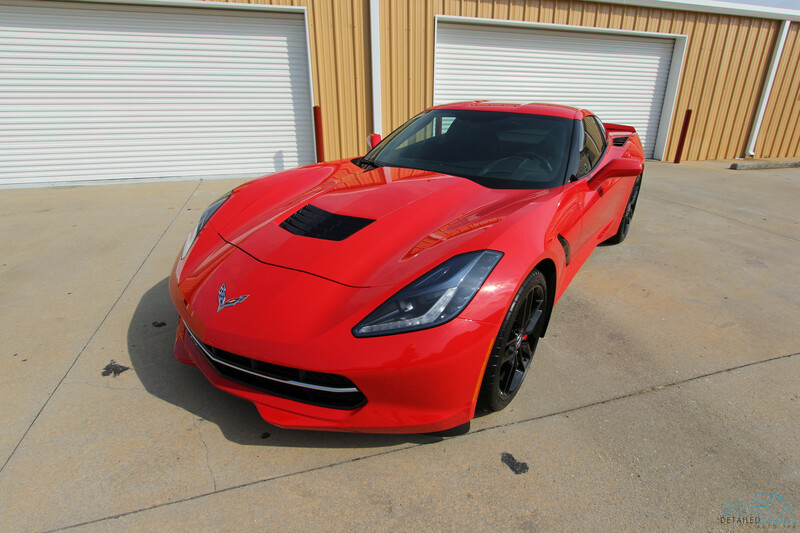 We have the feedback from clients, who’ve had their Stingrays since they were first released, on what areas see the highest wear and tear from rock and road debris impacts. 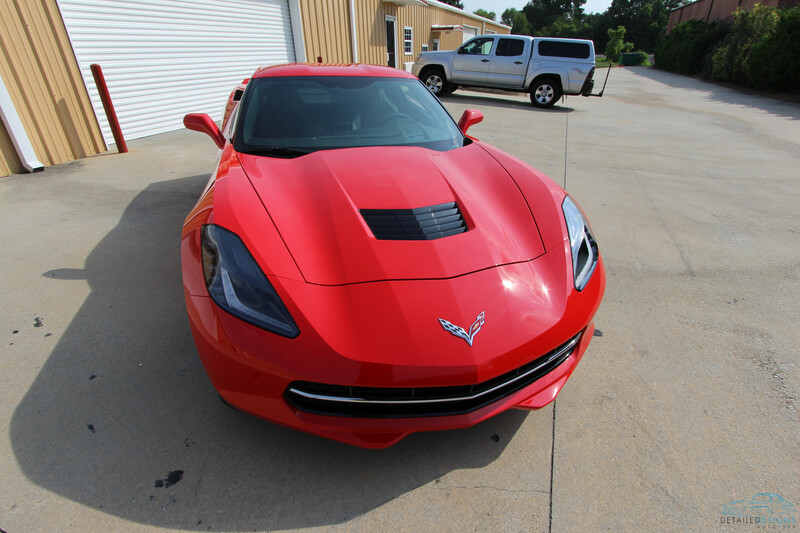 With this information, the pros at Detailed Designs Auto Spa can make suggestions for new Stingray owners as to what areas require the most attention. For this owner, maximum coverage and protection was not in his budget. So instead, he opted for clear bra coverage on the bare minimum for the highest wear areas. 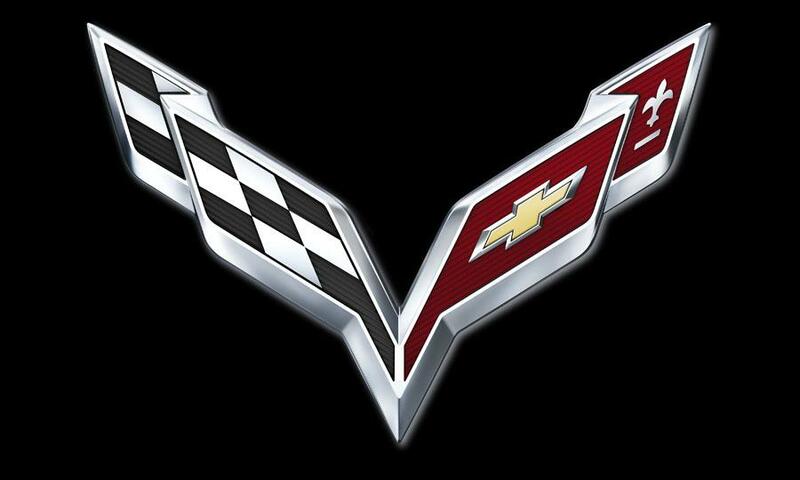 The leading edge of the hood and front fenders, the full front bumper, side mirrors and the rocker panels. In addition to the clear bra installation, he wanted an option that would give him easier maintenance on keeping the wheels clean. For the wheels and calipers, we installed Modesta BC-06. Where the clear bra protection will provide rock chip and road debris protection for the paint, Modesta BC-06 is the most heat resistant coating available. Stain-resistance and ease of cleaning thanks to the hardness of the coating film are the most prominent characteristics of the BC-06 glass coating. This thin silica film made from perhydropolysilazane protects the wheels from dust in raindrops that may penetrate soft paints or other painted surfaces and can be removed only with great effort. Thanks to the BC-06 protection washing is required less frequently. BC-06 undergoes a chemical reaction when it comes in contact with a painted surface, creating a hard glass coating. It has a tightly packed molecular structure that creates a solid, long-lasting surface. BC-06 is heatproof up to 1,300 °C – enough to protect wheels from burning-hot brake dust.